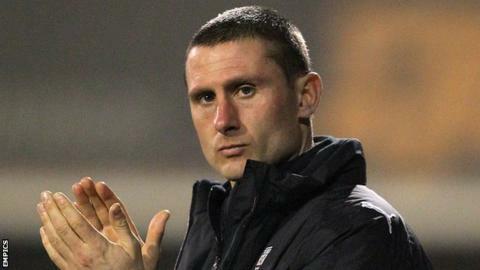 Dover Athletic manager Nicky Forster has criticised the quality of officiating in Blue Square Bet South. His comments followed the Whites' 1-1 draw with Welling United where both goals came from the penalty spot. He told BBC Radio Kent: "Rather than criticise the individual, I'll criticise them as a whole. "I don't think the officials are good enough for this level. I've seen it week in, week out, where they are costing not only us but other teams." Ben May's first-half effort for Dover was cancelled out by Wings striker Joe Healy in second-half stoppage time. "They were two soft penalties," Forster added. "The official got that wrong. "There were other moments in the game and they were missed. "The officials are not at the standard that they should be for this level." The result leaves both sides on 16 points, with Welling fifth in the table and Dover sixth.